Through my indescribable heartbreak of loss, trauma and deep deep grief, I found a light I wasn’t expecting. A tiny little spark lit within the darkness. It was calling me, from the depths of me, a pathway almost. “Shine this light for others” it said, even if just through the simple act of reaching out. Provide a sacred space for healing, listening, acknowledging and honouring all the little hearts that have stopped beating. I know this pain well, its in my veins. It is a part of me, but it does not define who I am. Grief is complicated and sporadical and impulsive and its become a friend to me. It has also opened up many doors to friendships and bereaved parents and families whom walk the same path as me and for their presence I am grateful. Their open their arms thrown far and wide, they draw me in with a kindness I have never known in this darkness. This makes me feel a lightness that I have a passion to offer and extend to others, in the expression of a community who need this like I have. It has been 2.5yrs since I held my baby girl Ava, and I miss her every moment of every day. Id like to welcome any who know of this heartbreak to join me over at my Facebook page Healing Heart by Hush Photography or on Instagram @healing_hearts__for support and comfort so you don’t have to walk this journey alone. With trust and amazing talent Netra from Netra Chetty, it was an honour to bring this vision to life. Netra has delicately hand drawn the profile of my little Ava, wrapped us together in this broken-open heart. A tribute and symbol to all the mothers and fathers who have known the heartbreak of loss. 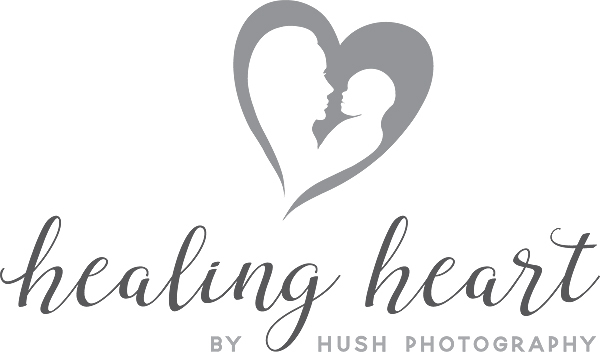 It is such an honour to share with you her artwork creation and a sentimental part of Hush Photography, our new logo for our Healing Heart Sessions.